Our featured partner of the month is ERTH Systems Shredding, a valued Shred Nations partner since 2015. We are honored to work with a company that is dedicated to providing you with exceptional customer service and values the protection of your confidential information. 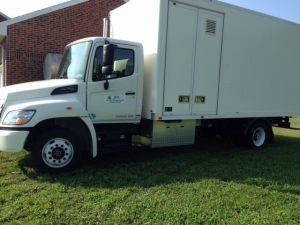 ERTH Systems shredding is AAA NAID Certified and a BBB Accredited local family-owned and operated shredding company. We were able to learn more about ERTH Systems Shredding from owner Tom Gaines. 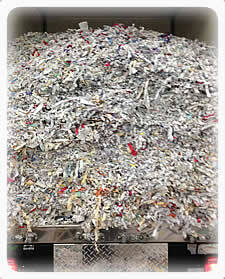 Find out what ERTH Systems Shredding is doing to exceed shredding expectations. How did you get into the shredding industry? My brother Tim Gaines had the idea to start the shredding company back in 1995 because he knew that patient and customer confidentiality was going to be a top priority of the federal government in the near future, and shortly thereafter in 1996 the HIPAA act was passed by Congress. We have been in business for over 20 years now. To provide maximum customer service at a minimal price. We want every customer that needs document destruction services to be able to afford it and still get the best service possible. When we first started in 1995 we were 100% off-site service. Today we are 100% on-site service. We believe that giving the customer the highest security service (nothing leaves your premises until shredded) allows our customer to have peace of mind that when we leave their parking lot their documents have been completely destroyed. Do you have a shredding specialty? We specialize in residential and business purges. With a very competitive on-site purge pricing we have saved many customers hundreds of dollars. We are family owned and operated. Our customers will always be serviced by an owner. Thank you ERTH Systems Shredding for your continued excellent customer service and devotion to secure document destruction. We appreciate your hard work to stop identity theft and your efforts to provide cost effective quality service for your customers.